We present a method for automatically generating English sentences describing short videos using deep neural networks. Specifically, we apply convolutional and Long Short-Term Memory (LSTM) recurrent networks to translate videos to English descriptions using an encoder/decoder framework. A sequence of image frames (represented using deep visual features) is first mapped to a vector encoding the full video, and then this encoding is mapped to a sequence of words. We have also explored how statistical linguistic knowledge mined from large text corpora, specifically LSTM language models and lexical embeddings, can improve the descriptions. Experimental evaluation on a corpus of short YouTube videos and movie clips annotated by Descriptive Video Service demonstrate the capabilities of the technique by comparing its output to human-generated descriptions. Raymond J. Mooney is a Professor in the Department of Computer Science at the University of Texas at Austin. He received his Ph.D. in 1988 from the University of Illinois at Urbana/Champaign. He is an author of over 160 published research papers, primarily in the areas of machine learning and natural language processing. He was the President of the International Machine Learning Society from 2008-2011, program co-chair for AAAI 2006, general chair for HLT-EMNLP 2005, and co-chair for ICML 1990. He is a Fellow of the American Association for Artificial Intelligence, the Association for Computing Machinery, and the Association for Computational Linguistics and the recipient of best paper awards from AAAI-96, KDD-04, ICML-05 and ACL-07. Advances in computer and information science and engineering are providing unprecedented opportunities for research and education. My talk will begin with an overview of CISE activities and programs at the National Science Foundation and include a discussion of current trends that are shaping the future of our discipline. I will also discuss the opportunities as well as the challenges that lay ahead for our community and for CISE. Dr. Jim Kurose is an Assistant Director of the National Science Foundation (NSF), where he leads the Directorate for Computer and Information Science and Engineering (CISE). With an annual budget of more than $900 million, CISE’s mission is to uphold the nation’s leadership in scientific discovery and engineering innovation through its support of fundamental research in computer and information science and engineering and transformative advances in cyberinfrastructure. 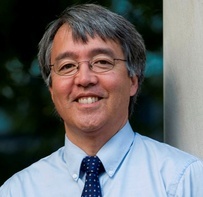 Dr. Kurose is on leave from the University of Massachusetts, Amherst, where he is a Distinguished Professor in the College of Information and Computer Sciences. His research interests include network protocols and architecture, network measurement, sensor networks, multimedia communication, and modeling and performance evaluation. 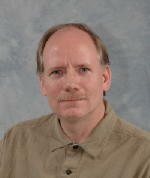 He has received a number of awards for his research and teaching, including several conference best paper awards, the IEEE Infocom Achievement Award, the ACM Sigcomm Lifetime Achievement Award, the ACM Sigcomm Test of Time Award, several outstanding teacher awards, and the IEEE/CS Taylor Booth Education Medal. With Keith Ross, he is the co-author of the textbook, Computer Networking, a top down approach (7th edition). Dr. Kurose received his Ph.D. in computer science from Columbia University and a BA degree in physics from Wesleyan University. He is a Fellow of the Association for Computing Machinery (ACM) and the Institute of Electrical and Electronic Engineers (IEEE). A person’s lifestyle is the most controllable factor affecting her health. Advances in technology have made it now possible to analyze and understand an individual’s life style from passively collected objective data streams to build her model and predict important events in her life. Wearable/mobile sensors, smart homes, social networks, e-mail, calendar systems, and environmental sensors continuously generate data streams that can be used as lifestyle data. By assimilating and aggregating these multi-sensory data streams, we create an accurate chronicle of a person’s life. By correlating life events with other events, and using a novel causality exploration framework, one can build model of the person. Such a model, that we call objective self, is the objective characterization of a person’s health, social life, and other aspects. We illustrate how to build an objective personal chronicle, called personicle, for a person. By building personicle for a long period and applying pattern recognition, it is possible to build a model of the person that could result in actionable insights and alerts in everyday life. We will present our ideas related to objective self its impact on societal health, and its use in making decisions. Ramesh co-founded several companies, managed them in initial stages, and then turned them over to professional management. These companies include PRAJA, Virage, and ImageWare. Currently he is working with Krumbs, a situation aware computing company. He has also been advisor to several other companies including some of the largest companies in media and search space. A program is commonly thought of as source code: a sequence of instructions that achieve some particular task. Source code is amenable to formal mathematical analysis, such as abstract interpretation and model checking to indicate whether the program satisfies a formal specification. This is a limited way to view a program. Software developers also make use of test cases, executions, documentation, variable names, the program structure, version control repositories, issue trackers, and more. I argue that it is time to take the blinders off of software analysis tools: tools should use all this information to deduce more powerful and useful information about the program. Researchers are beginning to make progress towards this vision. In this talk, I will discuss four initial results that find bugs and generate code, by applying natural language processing to English that appears in or with source code. * Comparing observed error messages to text in the user manual to determine whether the error message is adequate. * Using dictionary similarity among variable names to discover when variables are used incorrectly. * Creating test oracles (assert statements) from English descriptions of behavior (Javadoc documentation). * Translating user queries into executable bash commands. This is joint work with Juan Caballero, Alberto Goffi, Alessandra Gorla, Victoria Lin, Mauro Pezze, Irfan Ul Haq, Kevin Vu, Luke Zettlemoyer, and Sai Zhang. Michael D. Ernst is a Professor in the Computer Science & Engineering department at the University of Washington. Ernst’s research aims to make software more reliable, more secure, and easier (and more fun!) to produce. His primary technical interests are in software engineering, programming languages, type theory, security, program analysis, bug prediction, testing, and verification. Ernst’s research combines strong theoretical foundations with realistic experimentation, with an eye to changing the way that software developers work. 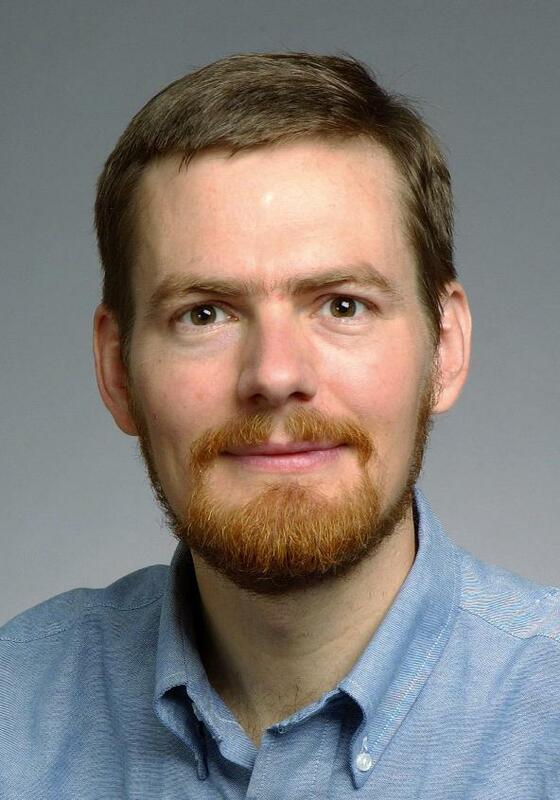 Ernst is an ACM Fellow (2014) and received the inaugural John Backus Award (2009) and the NSF CAREER Award (2002). His research has received an ACM SIGSOFT Impact Paper Award (2013), 8 ACM Distinguished Paper Awards (FSE 2014, ISSTA 2014, ESEC/FSE 2011, ISSTA 2009, ESEC/FSE 2007, ICSE 2007, ICSE 2004, ESEC/FSE 2003), an ECOOP 2011 Best Paper Award, honorable mention in the 2000 ACM doctoral dissertation competition, and other honors. In 2013, Microsoft Academic Search ranked Ernst #2 in the world, in software engineering research contributions over the past 10 years. In 2016, AMiner ranked Ernst #3 among all software engineering researchers ever. Dr. Ernst was previously a tenured professor at MIT, and before that a researcher at Microsoft Research. More information is available at his homepage: http://homes.cs.washington.edu/~mernst/. An increasing number of domains are providing us with detailed trace data on human decisions, often made by experts with deep experience in the subject matter. This offers an opportunity to use machine-learning prediction algorithms to ask several families of questions — not only about the extent to which algorithms can outperform expert-level human decision-making in specific domains, but also whether we can use algorithms to analyze the nature of the errors made by human experts, to predict which instances will be hardest for these experts, and to explore some of the ways in which prediction algorithms can serve as supplements to human decision-making in different applications. In this talk, I’ll explore this theme by drawing on a line of recent projects; all are joint with Sendhil Mullainathan, and include collaborations with Ashton Anderson, Himabindu Lakkaraju, Jure Leskovec, Annie Liang, Jens Ludwig, and Manish Raghavan. Jon Kleinberg is the Tisch University Professor in the Departments of Computer Science and Information Science at Cornell University. His research focuses on issues at the interface of networks and information, with an emphasis on the social and information networks that underpin the Web and other on-line media. He is a member of the National Academy of Sciences, the National Academy of Engineering, and the American Academy of Arts and Science; and he is the recipient of research fellowships from the MacArthur, Packard, Simons, and Sloan Foundations, as well as awards including the Nevanlinna Prize, the Harvey Prize, the Newell Award, and the ACM-Infosys Foundation Award in the Computing Sciences. When key problems in science are revisited from the computational viewpoint, occasionally unexpected progress results. There is a reason for this: Implicit algorithmic processes are present in the great objects of scientific inquiry – the cell, the brain, the market – as well as in the models developed by scientists over the centuries for studying them. This unexpected power of computational ideas, sometimes called “the algorithmic lens”, has manifested itself in these past few decades in virtually all sciences: natural, life, or social for example, in statistical physics through the study of phase transitions in terms of the convergence of Markov chain-Monte Carlo algorithms, and in quantum mechanics through quantum computing. This talk will focus on three other instances. Almost a decade ago, ideas and methodologies from computational complexity revealed a subtle conceptual flaw in the solution concept of Nash equilibrium, which lies at the foundations of modern economic thought. In the study of evolution, a new understanding of century-old questions has been achieved through surprisingly algorithmic ideas. Finally, current work in theoretical neuroscience suggests that the algorithmic point of view may be useful in the central scientific question of our era, namely understanding how behavior and cognition emerge from the structure and activity of neurons and synapses. Christos H. Papadimitriou is the C. Lester Hogan Professor of Computer Science at UC Berkeley. Before joining Berkeley in 1996, he taught at Harvard, MIT, NTU Athens, Stanford, and UCSD. He has written five textbooks and many articles on algorithms and complexity, and their applications to optimization, databases, control, AI, robotics, economics and game theory, the Internet, evolution, and the brain. He holds a PhD from Princeton, and eight honorary doctorates. He is a member of the National Academy of Sciences of the US, the American Academy of Arts and Sciences, and the National Academy of Engineering, and in 2013 the president of Greece named him commander of the order of the phoenix. He has also written three novels: “Turing”, “Logicomix” (with Apostolos Doxiadis) and “Independence” (in Greek). With the advent of wide access to “big data” machine learning has made enormous advances in supervised and unsupervised techniques. Standard supervised ML focuses on prediction problems, but many real-world policy problems can only be partially addressed using purely predictive techniques. A recent literature has emerged combining techniques from machine learning with tools from the literatures on program evaluation and causal inference. In this talk, I will review recent proposals to solve three distinct but related problems: heterogeneous treatment effect estimation, average treatment effect estimation, and estimation of optimal personalized policies. The methods draw from a variety of literatures in machine learning, and themes include the need to modify standard predictive methods to optimize for causal inference objectives and enable the construction of confidence intervals for parameter estimates, as well as the importance of incorporating insights from the econometrics literature on semi-parametric efficient estimation. I will also highlight the extension of these methods to techniques commonly used to enable causal inference in economic applications, such as instrumental variables. Susan Athey is The Economics of Technology Professor at Stanford Graduate School of Business. She received her bachelor’s degree from Duke University in economics, computer science, and mathematics, and her Ph.D. from Stanford. She holds an honorary doctorate from Duke University. She previously taught at the economics departments at MIT, Stanford and Harvard. In 2007, Professor Athey received the John Bates Clark Medal, awarded by the American Economic Association to “that American economist under the age of forty who… made the most significant contribution to economic thought and knowledge”. She was elected to the National Academy of Science in 2012 and to the American Academy of Arts and Sciences in 2008, and she is a corresponding fellow of the British Academy. Professor Athey’s research focuses on the economics of the internet, online advertising, the news media, marketplace design, and the intersection of computer science, machine learning and economics. She advises governments and businesses on marketplace design and platform economics, including several years as consulting chief economist for Microsoft. She serves on the board of directors of Expedia as well as private companies Rover and Ripple. This talk will be rescheduled for Fall 2017. This talk will discuss an approach to systems research based upon an iterative, empirically-driven approach, loosely known as “measure, then build”. By first carefully analyzing the state of the art, one can learn what the real problems in today’s systems are; by then designing and implementing new systems to solve said problems, one can ensure that one’s work is both relevant and important. The talk will draw on examples in research done at the University of Wisconsin-Madison over nearly two decades, including research into Linux file systems, enterprise storage, and (more recently) on modern key-value storage systems such as LevelDB, MongoDB, and other systems. few years; the book is in use at hundreds of institutions around the world. Remzi is also an active participant in the systems community, having served on numerous program committees, as well as co-chair of USENIX ATC ’04, FAST ’07, OSDI ’10, and SOCC ’14; Remzi also currently serves as an associate editor for ACM TOCS. Remzi has been a NetApp faculty fellow, an IBM faculty award winner, an NSF CAREER award winner, has consulted for numerous technology companies, and has served on a few advisory boards.